I thought it's nice to have a backup speaker for CB radio in a car. When I saw old Nokia BHF-3 handfree which is not in use, I start thinking how to hack it. I desoldered phone connector, opened the case and found sound-in pads which is marked as LSIn+/-. Soldered 3.5mm jack to that pads and turned handfree on to test sound, and there was no sound at all. So this handfree somehow knows when phone connected or sending sound in and turning on an amplifier. Time to check datasheets for chips on pcb. There is a chip marked as K990 in DFN8 package and looks like datasheet for TS4990 from STM fits nicely. This audio amplifier have standby pin with low active. 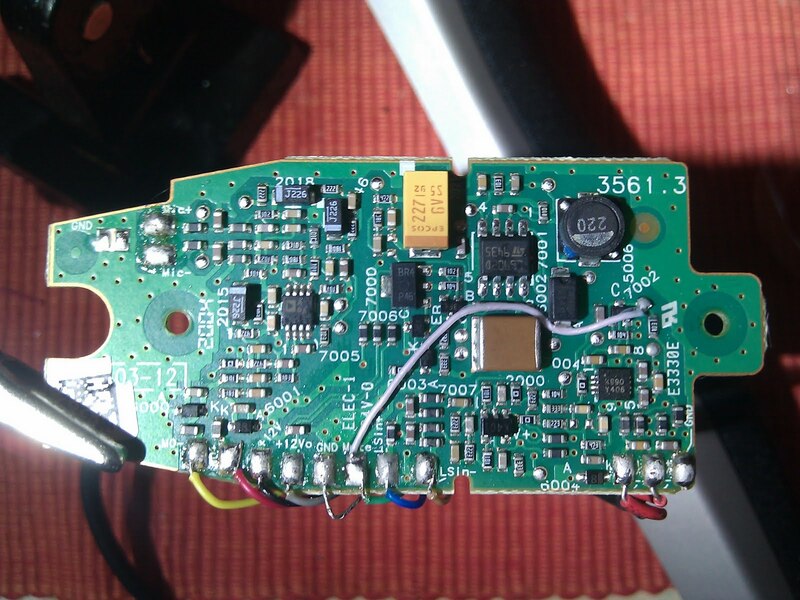 So I just added a wire from Mute pad (which have +5v) to transistor base which turning standby on and viola, I have nice external speaker :) Don't know if it's powerful for cb radio incar use though, need some test run.